Gift vouchers make a lovely present when you would like to pay for someone to go on a course, but aren’t sure which one to choose. 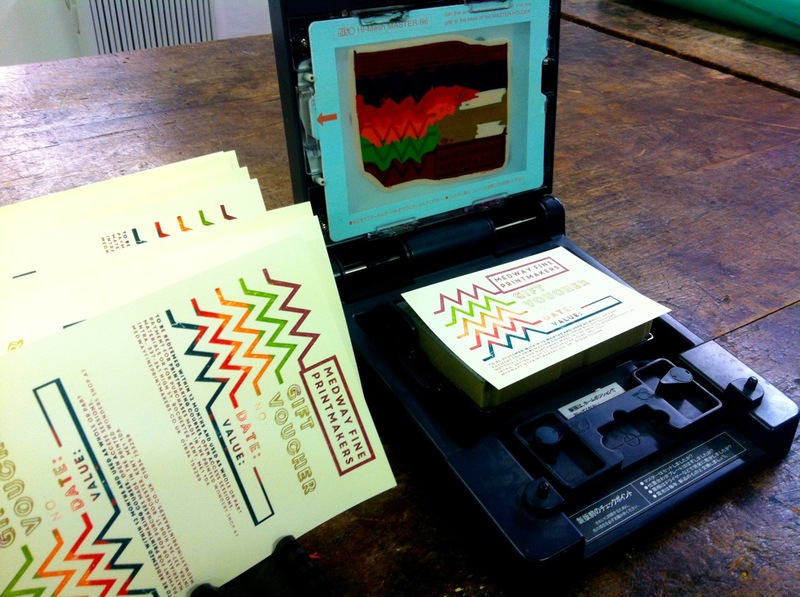 Our vouchers are hand printed on a Gocco machine, with a design featuring the zigzags found on the front of the INTRA building. Items in the on-site Printed Wonders shop, including printed artworks, textiles, stationery, cards and gifts. Below are some popular voucher values, with examples of what they can be spent on and links to buy them online. If you would like a voucher for any other amount – please contact us. £20 voucher – book 3 hours of open access time with £5 left for paper or other materials. £45 voucher – for a Gelli monoprinting class. 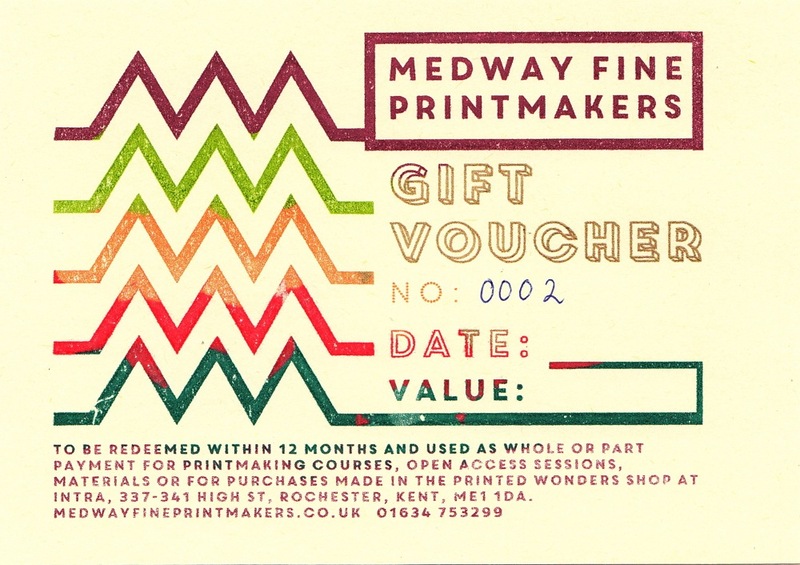 £140 voucher – for a two-day course in Collagraph or Screen Printing. Vouchers are valid for one year from the end of the month that they are purchased in. They cannot be exchanged for cash, but if only part of the voucher is spent, the rest of the voucher can be held in credit for use by the recipient any time before it expires.